Uber and Lyft are now legal on the streets of the Tampa Bay area, Florida. 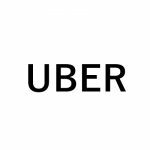 On Wednesday, Nov. 9, 2016, The Hillsborough Public Transportation Commission adopted a temporary agreement allowing Uber and Lyft, the two most popular ridesharing providers, to operate legally in the country through 2017. Previously the PTC has demanded all drivers to undergo FBI fingerprinting and background checks. Under the new agreement, drivers will be required to pass “enhanced” 7-year background checks, but FBI fingerprinting will not be required. Drivers must carry additional insurance, and their vehicles must be 10 years or newer and pass inspections annually. The deal appears to a victory for Uber and Lyft. But the two companies are required to pay the country annually $250,000 and $125,000, respectively, to cover costs associated with the new regulations. The companies are hoping the state of Florida to adopt statewide regulations on rideshare services. If you’re interested in signing up with driver with Uber or Lyft, click on the links below to find out if you quality for sign-on bonuses. 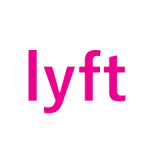 New to Uber or Lyft? Click on the links to below to get FREE ride credits.